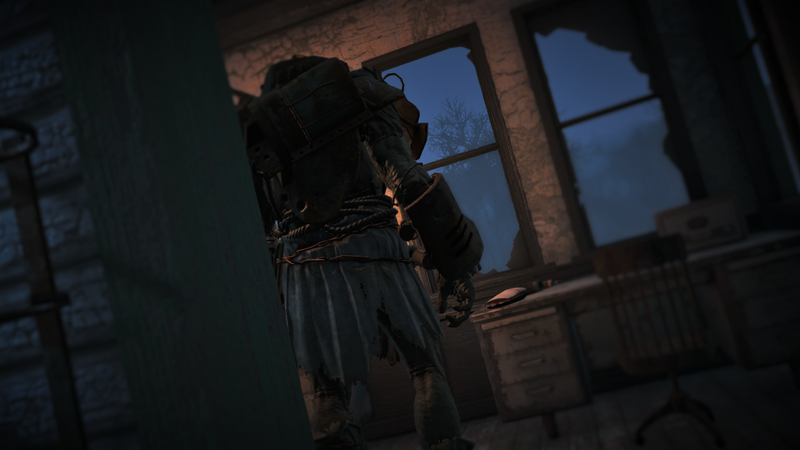 The first stop in this dystopian province called “The Commonwealth” was a super mutant camp. A rather inhospitable place, which I found out a bit too late. I, a humble man (self-labeled) decided to follow my passion, which is being a nozy, thrill-seeker (Also known as a reporter). My first attempt at finding a story took me to a post-apocalyptic place called “The Commonwealth” in Boston, United States of A. The first stop in this dystopian province was a super mutant camp. A rather inhospitable place, which I found out a bit too late. I needed a place to stay for the night, so I took refuge in a trailerwagon of sorts. After a good nap, I was awoken by loud, raspy voices for only to be clubbed into a deep lull seconds later. This event/misadventure enabled me to take a closer look at a super mutant prison cell, as I was (seemingly) securely locked inside one. Well, calling it a “super mutant prison cell” is giving these guys to much credit since the cell was a part of the Police station they had taken over. After a night of contemplation in my more-comfortable-than-a-trailerwagon-floor-cell I discovered that these big green humanoids doesn’t quite grasp the concept of door locks, so I gently opened the cell door and snuck my way outside. My cellmate, Wilson, occupied the lower bunk with the only usable mattress. I was well on my way to successfully sneak out of the complex, but as I heard a raspy burp on the other side of the watch tower wall, my curiosity got the better of me and i just had to observe this phenomena. As i peeked around the corner, I myself, perhaps inspired by the mutant, uncontrollably burped in a rather unsubtle way. He/it, of course, busted me and made me break all personal records in both acceleration and endurance while fleeing the site. An armored, club wearing mutant and his dog, followed by a mini nuke-wearing suicide mutant. Hot pursuit! Hadn’t it been for the poor aim of one of the guards, I’d be dogfood. A stray bullet from the stereotypical poor-aiming-bad-guy ricocheted from the wall of the trailerwagon in to the dog, killing it instantly (I can only assume, since I was too busy running and looking forward). This is the moment, I think, where the bullet from one of the greenies ricocheted off the trailer wagon wall and in to the mutant dog. Lesson learned. I will hereby be more aware of my surroundings (and maybe rent a room somewhere).